Parents of children ages 4 and under: Do you want to help save for your child’s future? Start by entering a sweepstakes to win money for his or her college education! The Gerber Products Company – “the baby food people” – is giving away a $50,000 Gerber Life College Plan, and other daily $1,000 cash prizes, through the Feeding Their Future sweepstakes. Parents of children ages 4 and under are eligible to enter the sweepstakes, which begins August 31 and lasts until October 19. How Soon Is Too Soon For Life Insurance? Don’t think you need life insurance? If you have a family or if you plan to start a family, you should consider the benefits of purchasing life insurance now. You’ll save money on your policy and you’ll gain immediate protection. Life insurance premiums are lower when you are young and healthy, and the cost will never increase for as long as you own the policy – so purchasing now may actually be cheaper than waiting until later to do so. On the contrary, as you age, your health could change and prevent you from finding an affordable coverage option or even an insurance policy. So ask yourself: Is waiting until later to buy life insurance coverage worth the risk? It’s Life Insurance Awareness Month. Do You Have a Policy in Place to Protect Your Family? 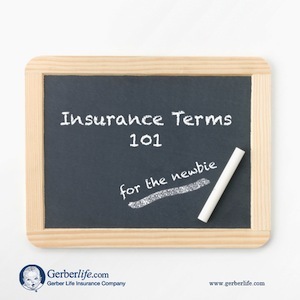 Having a life insurance policy is a “must” for many families. Parents often have a plan for when a child gets sick and for when severe weather heads their way, but what if something happens to them – or to you? What would happen to your family? Who would pay the rent or the mortgage, or for your children’s education? Would your family have enough money to pay for your final expenses without being a burden? Life insurance helps to cover such costs in case something unexpected happens to you. It helps you to protect loved ones who financially depend on you. September is Life Insurance Awareness month. Do you have enough coverage in place to adequately protect your family? 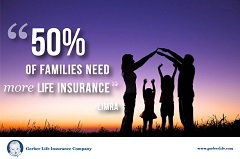 According to LIMRA, fifty percent of U.S. households say they need more life insurance.